The World Series is almost over -- or perhaps, already over, by the time you read this. The Indians lead the Cubs three games to two, and everything will either be decided by the time this podcast gets posted, or the day after that. Either way, we're on the very cusp of the true baseball offseason, and the Tigers will most certainly be making some moves very soon. In the meantime, HookSlide and Rob tackle some listener questions mostly related to alcohol (craft beer, to be specific), as well as a few speculations concerning what the Tigers' roster will look like in 2017 and what prospects might be a part of that plan. 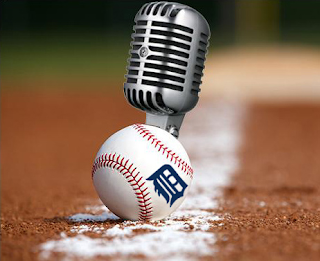 For an additional listener treat, we've gone back in time to the interview we held with Tigers' radio play-by-play announcer Dan Dickerson, way back in February of 2016 before the season had started. It's like going back to an old family photo album to see how much has changed, and how much hasn't. We think you'll enjoy the trip down memory lane and hearing what we all thought was going to happen with the Tigers in 2016, before we had the advantage of 20/20 hindsight vision. - When is the best time to stock up on alcohol in the offseason? - But what if the Tigers really do sign Alex Avila again?